Tickets priced €35 go on sale Friday 4 November at 9am through www.ticketmaster.ie & usual outlets nationwide. 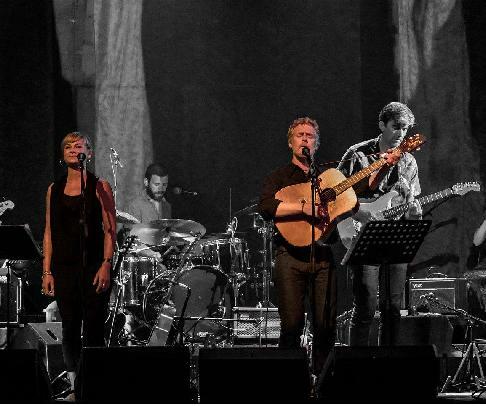 Interference will be playing a show at Vicar St, Dublin next February with Glen Hansard to celebrate the life and work of Fergus O’Farrell. Expect to hear tunes from all 30 years of the bands’ career along with some old familiar faces and some very special guests. Long-time honorary interferer Glen will be taking main vocals for the show. This promises to be an extraordinary night of music and musicianship to acknowledge one of Ireland’s most talented songwriters and his incredible band Interference performed by some of the people whose own careers Fergus greatly inspired and influenced. All profits from the night will go to two very important charities: Brú Columbanus – who provide a “home from home” accommodation for relatives of seriously ill patients in any of the Cork Hospitals and the Hospice, and theRespite Care Unit of Schull Community Hospital. There may never be another talent quite like Ferg’s, “whichever way the wind blows…”, this is a very special night not to be missed.